Design a Theater Set! Finalists Announced! Update: Wow! 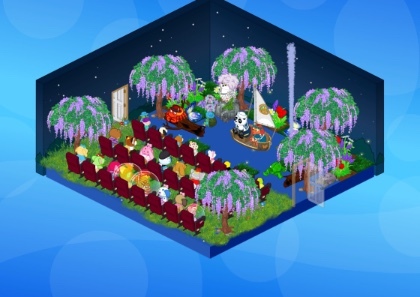 We had some amazing entries in our Theater Set contest! Ms. Cowaline says you ALL belong in the KVA Drama Club! 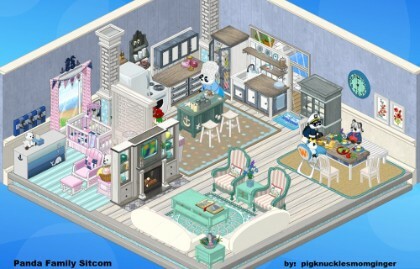 It wasn’t easy to narrow it down to just ten, but we tried to include a wide variety of creatively designed sets, from a simple audition space, to a backstage area, to TV sets, and entire theaters including seating! While the winning design will be selected by the creative dept. 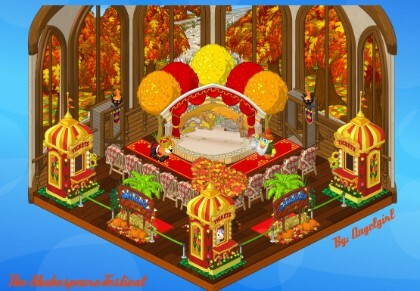 at Webkinz, we want to hear what you have to say about the designs to help us make our choice. Please let us know in the comments below what you think. The KVA drama club has been holding auditions with Ms. Cowoline giving out costume pieces at the Park, and now we need some sets for the big play! 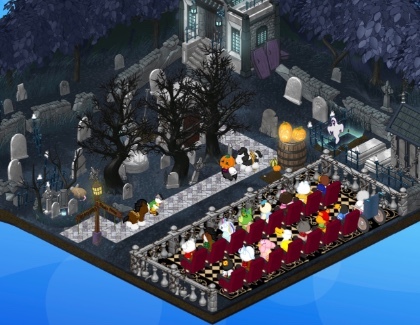 We want YOU to design a set for a play and submit it to the Share Center! The theme of your play can be whatever you want! The grand prize winner will receive a virtual Room Design Trophy and a Night at the Theater Package courtesy of Ganz eStore. All ten finalists will each receive a Theater Usher Cap and Jacket.Entry is open until midnight EST on October 7. 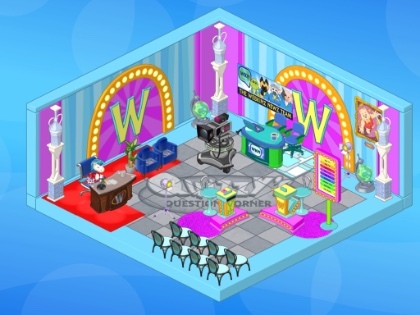 Then we will narrow the choices down to ten finalists and post them on Webkinz Newz to let you have your say! 1. 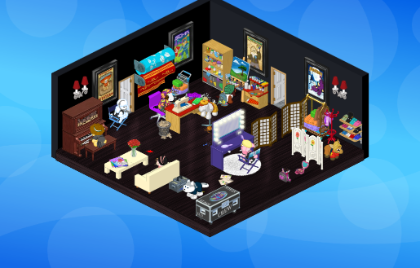 Design a theater set in one of your pets’ rooms. The theme of your play can be whatever you want! 2. 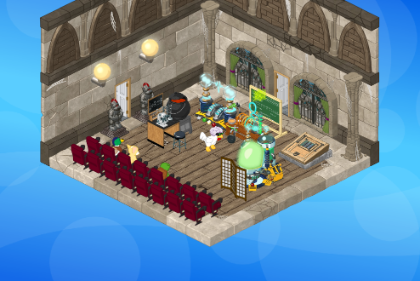 Take a screen shot of your theater set. 3. Upload the screen shot to the Theater Set Gallery on the on the GanzWorld Share Center any time between Sept. 8 and Oct. 7. 4. Cross your fingers until October 10 to see if your room is among the finalists! 5. The winner will be announced on October 20, 2018. Remember, you can enter as many designs as you want- the more submissions the merrier! View official contest rules here. 62 Responses to Design a Theater Set! Finalists Announced! Congratulations! You designed an amazing set! I’m thinking that the old movie lover in me is going to have to go with the Frankenstein set! 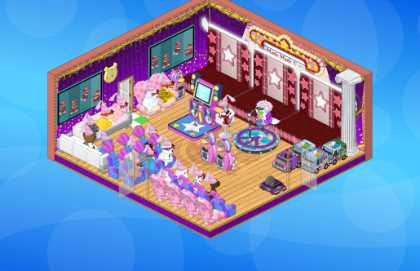 I love the auditions room and the backstage props room! All of these are very creative. My favorite is the Legend of Sleepy Hollow. It fits perfectly with Halloween & it is outside the box of typical theater ideas. Great Job!!! Congrats to the finalists. Great imaginations! I have a question though. I submitted a Harry Potter room. The theme was Platform 9 3/4 train. The kids were getting ready to board the train, going through the wall with their luggage cart. When I submitted it, I’m pretty sure it said it was successful, but I don’t see it anywhere in the share centre. I submitted it around Oct. 6th. My other rooms are there.